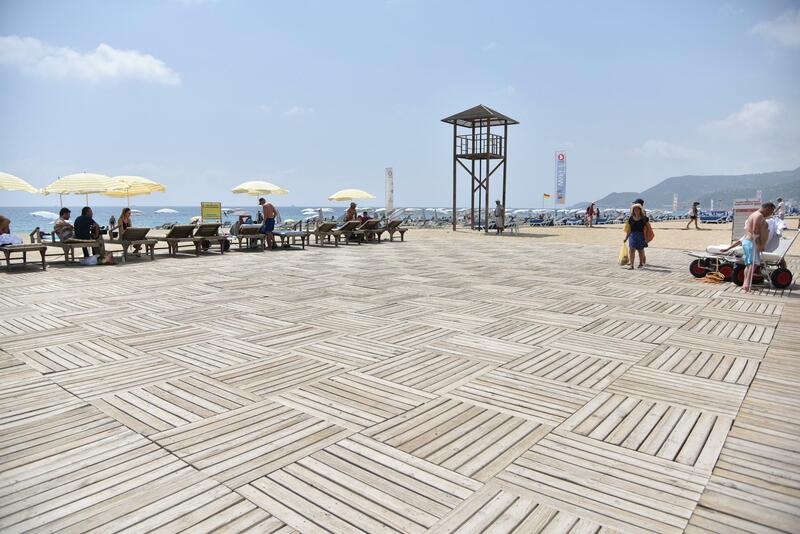 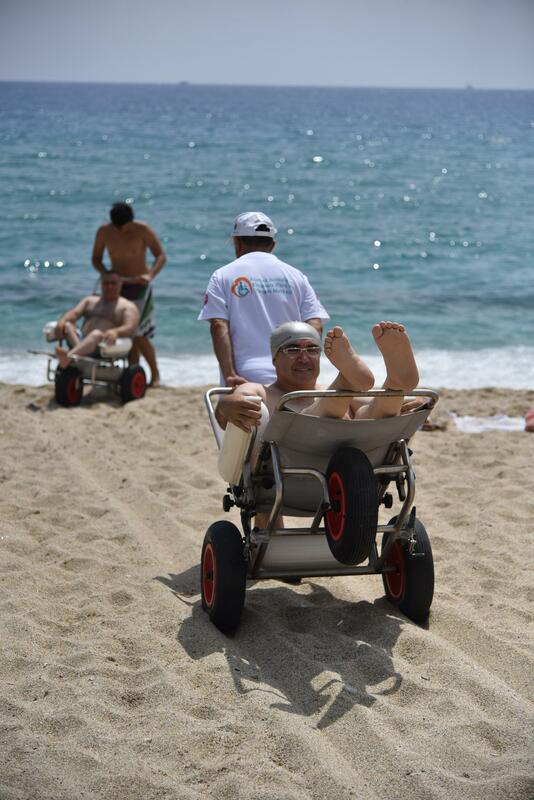 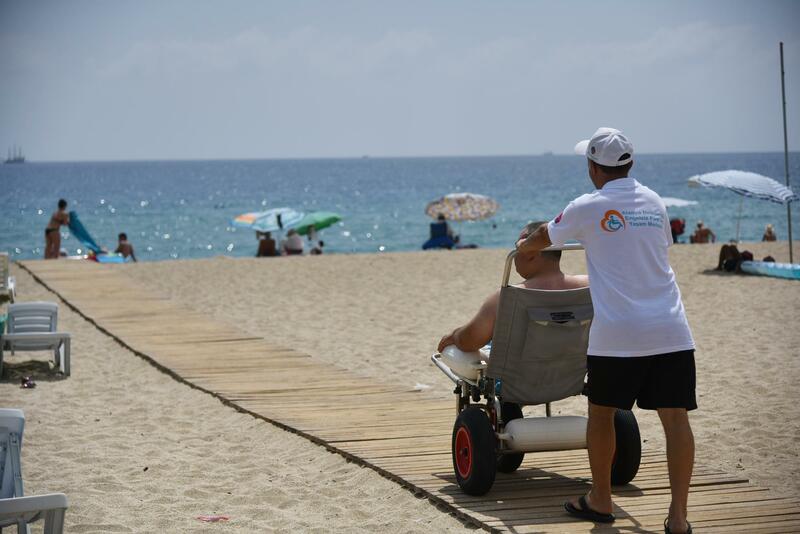 The individuals with disabilities can swim in the sea peacefully on Rainbow Accessible Public Beach, which was built in cooperation of Alanya Municipality and ALTID and support of Western Mediterranean Development Agency with the slogan “Every stroke is one life”. 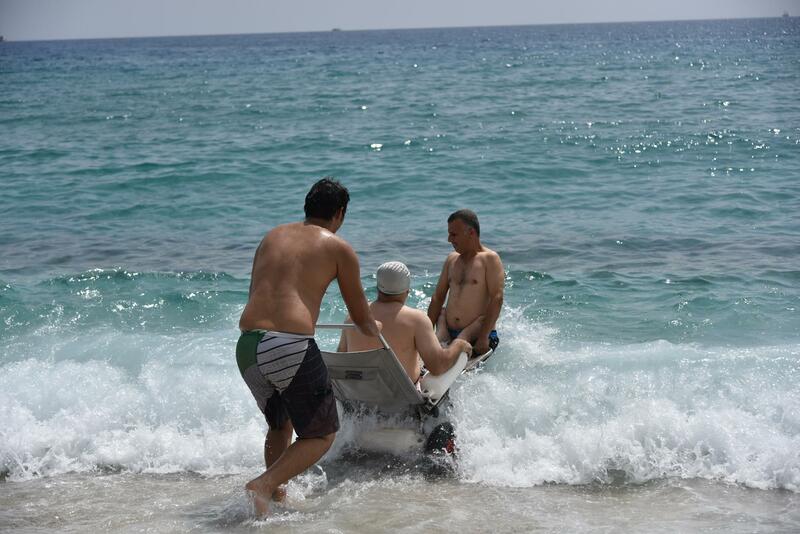 Individuals with disabilities who are trained in Olympic Swimming pool within the concept of “Every stroke is one life” project of Alanya Municipality Accessible Park and Recreation Center swam in the sea on Accessible Public Beach. 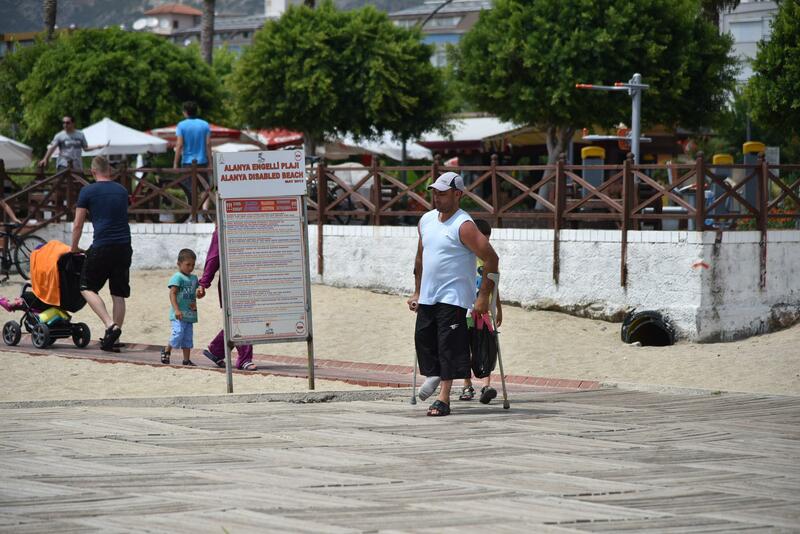 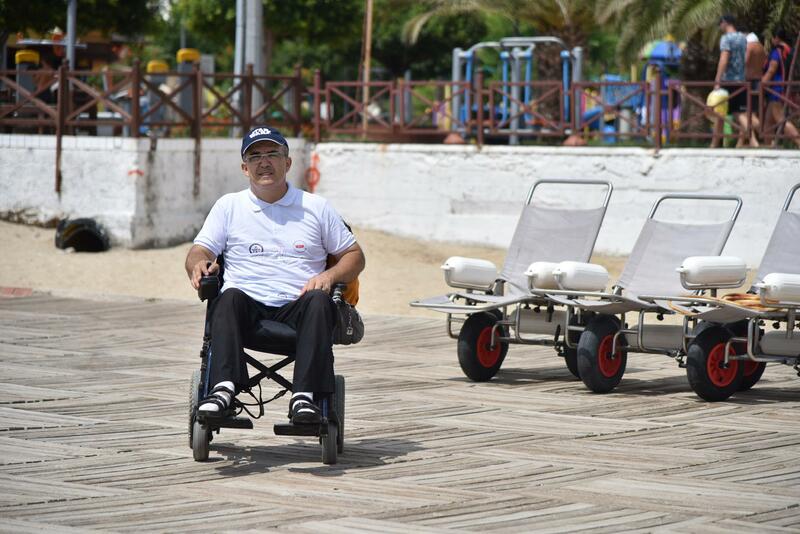 Residents with disabilities who were carried to the sea on special wheelchairs prepared for them swam in the sea under the control of Alanya Municipality expert physiotherapist Erdem Demir and found opportunity to cool themselves. 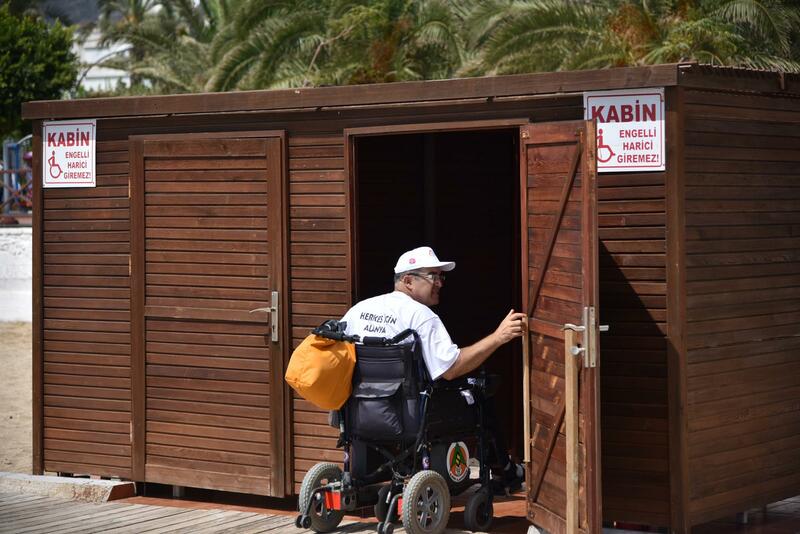 Apart from the physical activity, the program enables the people with disabilities to get the necessary rehabilitation support for their muscular development.